CYPRESS, TX (KTRK) -- A teenager is on the run after leaving a literal paper trail at a robbery. 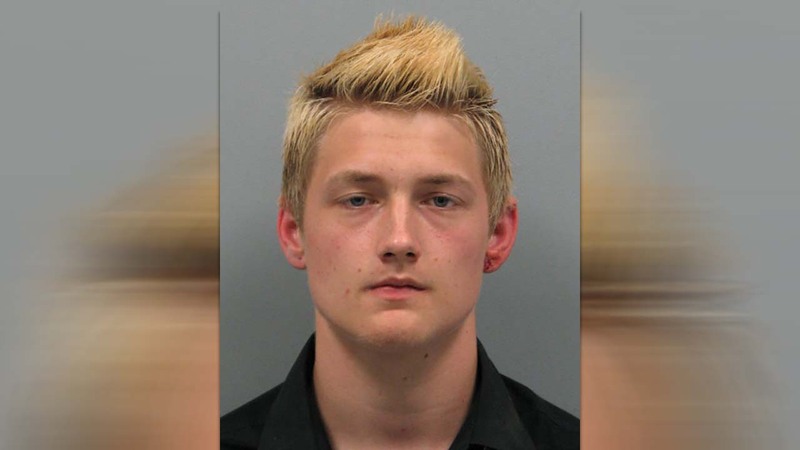 Daniel James Furstenfeld, 18, allegedly stole $2,000 from a home during a robbery earlier this month in northwest Harris County. Harris County deputies say a resident called 911 after he spotted a person wearing a ski mask in his home about 10pm October 14 in the 18200 block of Arbormont Drive. The intruder ran out of the house and the resident chased him. During the chase, the suspect turned toward the resident and pulled what appeared to be a gun at him. At that point, the homeowner gave up the chase and went home. Deputies say the intruder took $2,000 in cash and other items from the home. When deputies arrived, they found a traffic ticket and a cell phone near the spot where the suspect had reportedly pulled the gun during the chase. Furstenfeld's name was on the ticket. Witnesses also identified Furstenfeld as the suspect in the case. Furstenfeld is charged with aggravated robbery with a deadly weapon and a warrant has been issued for his arrest. Bond for the case has been set at $30,000.